Discerning the Mystery: OPERATION TORCH CALIFORNIA: A Massive False Flag Operation Designed as Next Phase of Agenda 21? See also - The Fukushima Meltdown and the Oroville Dam Failure; Manufactured Disasters Used as Diversions or Something Else? In this context, the annual firestorm seasons serve to scare people off the preferred lands, and many others away from the state altogether. The mass migrations from California have been occurring at an unprecedented rate over many years now. 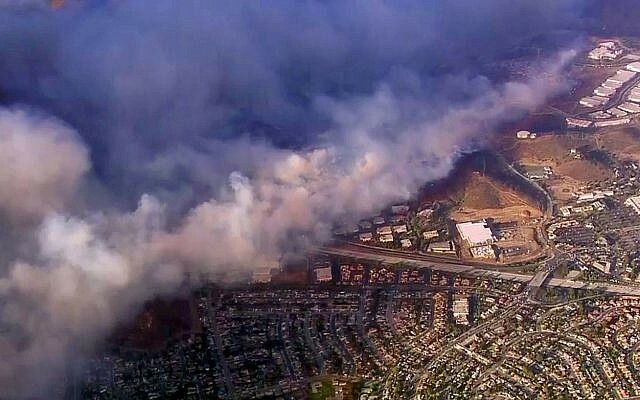 What is scarier than thick fire smoke wafting through the air twice a year and thousands of home being burned down to the ground. The bottom line here is that these terrifying wildfires are quite instrumental at motivating people to vacate the premises. And that’s just what they’re doing…in droves.